Frankenstein, Mary Shelley’s classic story about a tormented synthetic being made in a laboratory, was first published in 1818. In the 200 years since, its impact on literature and the media, on general and popular culture, and on science and scientific ethics has only grown – especially now that we have the power to manipulate our own DNA and so change ourselves into new versions of humanity. Frankenstein 2018, edited by Sidney Perkowitz and Eddy von Mueller, is an anthology to be published on the bicentennial of the original story. 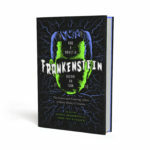 It brings together eminent scholars, scientists, and media figures to contemplate what the Frankenstein story means in the 21st century. Physics: A Very Short Introduction (Oxford University Press, 2018). 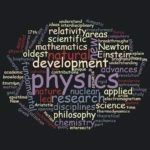 A contribution to the Oxford University Press “Very Short Introduction” series, this is a brief, compact but thorough survey of what physics is all about, how it works, what it tells us about nature and the Universe, and how it affects our daily lives. It is written for non-experts in a clear and light style without any math (except for E = mc2). 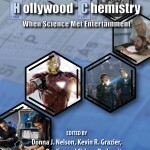 Hollywood Chemistry (September 2013) co-edited by Sidney Perkowitz and with a chapter by him, is Sidney’s sixth book. It covers a topic that interests people from science fiction fans to scientists, media experts, and educators – how the increasingly powerful and varied impact of science in films and television affects both science and entertainment. Chapters by film and television writers and directors, research scientists, science instructors, and others tackle all aspects of the questions raised by this combination of cultures. 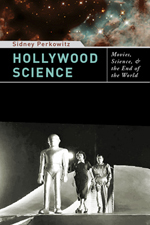 Check out the e-book and especially Sidney’s chapter about science in the movies “Hollywood Science: Good for Hollywood, Bad for Science?” at http://tinyurl.com/l7x76gv. 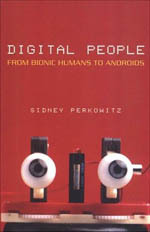 (Hardcopy edition available 2014). 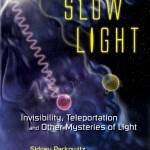 Slow Light (July 2011) is Sidney Perkowitz’s fifth book of science nonfiction for popular audiences. Slow Light is a popular treatment of today’s astonishing breakthroughs in the science of light. Even though we don’t understand light’s quantum mysteries, we can slow it to a stop and speed it up beyond its Einsteinian speed limit, 186,000 miles/sec; use it for quantum telecommunications; teleport it; manipulate it to create invisibility; and perhaps generate hydrogen fusion power with it. All this is lucidly presented for non-scientists who wonder about teleportation, Harry Potter invisibility cloaks, and other fantastic outcomes. 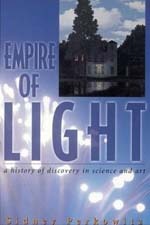 Slow Light shows how the real science and the fantasy inspire each other, and it projects light’s incredible future. 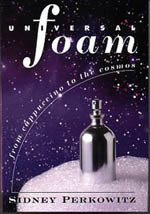 Visit the publisher’s web page for Slow Light. Reserve your copy of Slow Light on Amazon.com today.